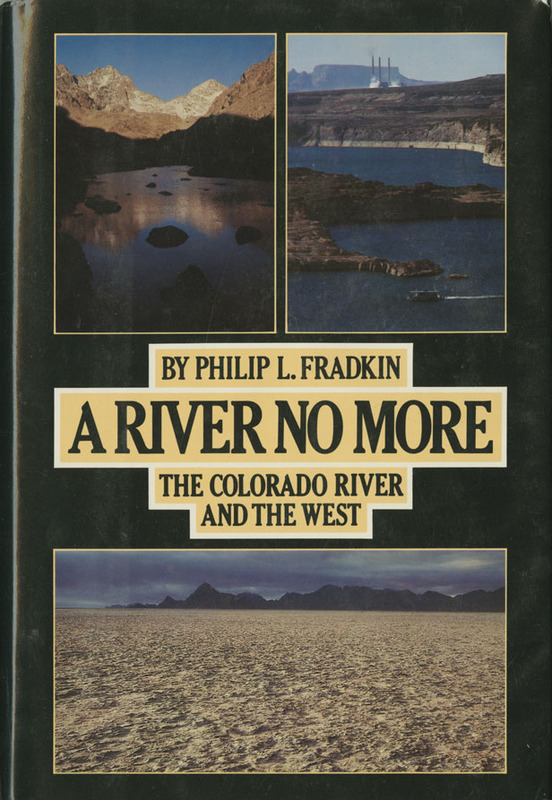 Fradkin, Philip L , “A River No More ,” Arizona 100: Essential Books for the Centennial, accessed April 21, 2019, http://speccoll.library.arizona.edu/online-exhibits-dynamic/az100/items/show/277. Fradkin is an investigative journalist who has taken as his beat the American West. This is his thorough-going account of the land, the people, and the industrial exploitation of the vast quarter of the United States drained by the Colorado River. Part history and part personal exploration, Fradkin’s gripping account explains, in words and photographs, why he believes “the river, in its present state, is primarily a product of the political process . . . rather than a natural phenomenon.” His stated aim is not to offer solutions, but to “help increase public awareness of the importance of water to the West, and of how its distribution can be used as the single most effective tool in this arid region to control and direct the rampant growth. New York : Alfred A. Knopf, 1981.
xviii, 360 p. : ill. ; 24 cm.